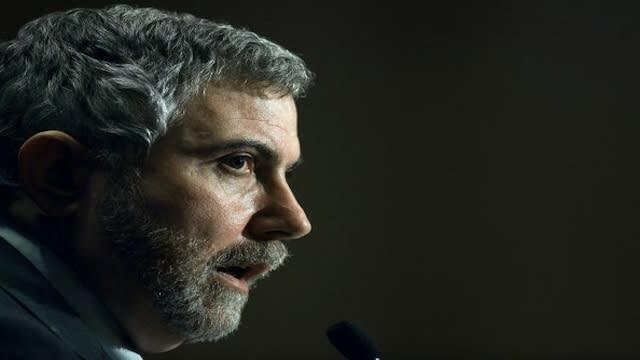 Niall Ferguson has two words for Paul Krugman: you’re wrong. The Harvard University history professor and author of "The Great Degeneration: How Institutions Decay and Economies Die" and “Civilization: The West and the Rest” says Krugman’s pro-government spending thesis not only fails to address the core problems facing the U.S. and Europe today but also has dire consequences for individuals living in these economies. Ferguson argues that Carmen Reinhart’s and Ken Rogoff’s conclusions about the relationship between high debt and low growth are still true. The two Harvard economists had to defend their seminal 2010 paper "Growth in a Time of Debt" after three University of Massachusetts academics “correctly identified a spreadsheet coding error that led us to miscalculate the growth rates of highly indebted countries since World War II,” according to Reinhart and Rogoff. (Lawmakers across the world cited their work as justification to institute austerity policies; they argued that economic growth slowed after a country's public debt equaled 90 percent of its GDP). Related: Did Harvard Economists Make an Excel Error that Lead to Economic Austerity? Moreover, Ferguson compares government accounting of public debt to one of the most famous – and hated – public companies that ever existed. George Soros Buys 8% Stake in JCPenney: Should You Follow?